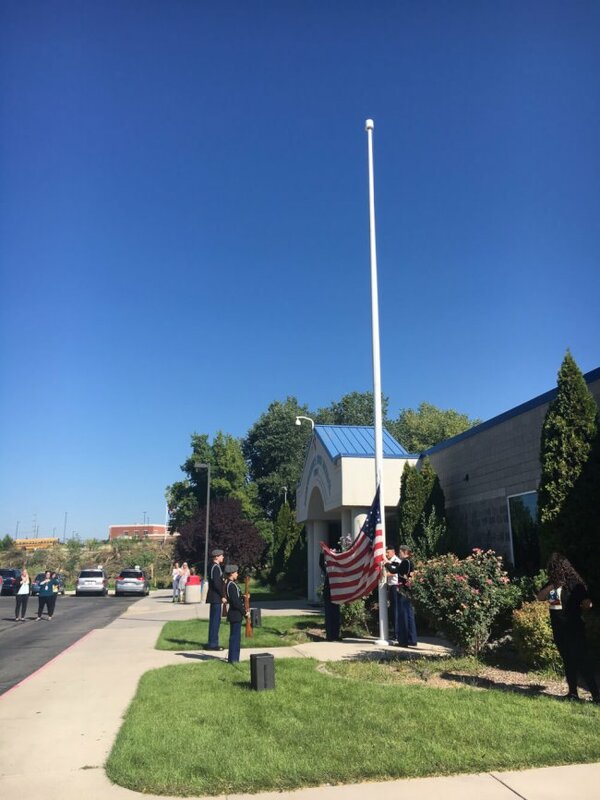 On Monday, September 11th we had a wonderful flag ceremony held by our very own JROTC. The whole school was in attendance for the raising of our flag. A speech was given by Colonel Miller that talked about the sacrifices people have made for our country and how proud we should be to live in America. We were also led in the Pledge of Allegiance and the National Anthem was performed. It was emotional for everyone who was there. We are so thankful to have the JROTC program at our school and for these special events that they share with us.